BBQ Must Haves 2018 | Water, Food, Games, and More! Get your BBQ Must Haves! Summer is here and with that comes 4th of July, tailgates, and most importantly BBQ’s! The smell of hamburgers and grill smoke fill the air, so pull up a lawn chair and pop open a beer. Make sure you have all these BBQ must haves to have the best summer party. We’re assuming you already have a grill of some sort, but don’t forget what gets the fire going: charcoal! Pump up the flavor department with that smoky char. It may take a little more time and skill, but we all know good burgers take time. Don’t be that person that passes out from dehydration. With the sun beaming down and the alcohol levels going up, it’s easy to get dehydrated. 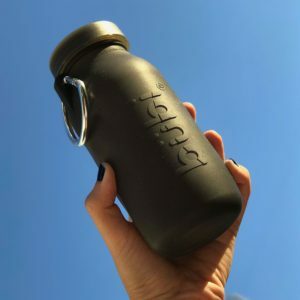 Fill your Bubi Bottle with water to stay hydrated all day. You can also use your bubi as a cold compress to cool down your body temperatures. You could even purchase Bubi in Red and Blue to show off your American Spirit! Bubi Bottle is a BBQ Must Haves! Check out all three sizes: 14 oz, 22 oz, and 35 oz. What’s better than having good food? Having great decor! Make sure you have summer decor like lights, tiki torches, table cloths, or 4th of July tableware. It’s all about the environment and atmosphere, so don’t cut the decor budget short. You can make your own or get it at your local Party City. Get your BBQ Must Haves at Bubi Bottle!